The fifteen members of the extended Privy Council filed into the large room in the appropriate order of rank, the emperor leading them to an oval table in the middle of the lavishly decorated room. As duty required of him the court chamberlain presided over the meeting and read aloud the agenda. The council members listened, some intently, others indifferently. The emperor himself sat sunken in his seat, his frail head lying on his chest. It was difficult to say whether he was awake or not. In theory, every member of the council apart from the chamberlain and the emperor himself was supposed to be a neutral aristocrat or civil servant whose only duty was serve the empire, but in reality each member had strong ties to some strong political group. This was generally accepted as long as no one group got too much influence in the council. In time, tradition had bound certain seats to a specific group, which nominated a new candidate at a time of vacancy. Even if this meant a fairly even distribution of power amongst the many political groups within the empire, actual power still fluctuated greatly depending on how persuasive a member was at the council table. The first hour of the meeting was dedicated to the usual affairs of state. The chamberlain read out status reports from all over the empire and from embassies, then there was a discussion about foreign deals and agreements, fiscal matters and social issues. Once the formalities were over the talks turned to individual matters of concern. Predictably the most influential members dictated the discussions; the loud and dynamic Afrid Sarkon, cousin of the empress; the sly Sin Callor, from the Ministry of Internal Order; the assertive High Deacon Moritok of the Theology Council and the sharp and quick-witted Zach Dormondan, deputy of the Imperial Chancellor. One of the items being discussed was a report from a governor in the Semou constellation regarding increased Blood Raider activity in the area. The governor feared Semou would share the fate of the small settlements in the Bleak Lands and be taken over or be destroyed and wanted permission to recruit a space fighting force to deal with the crisis. The majority of the council agreed to allow him to take these extraordinary measures to deal with a difficult situation, but when Chamberlain Karsoth was closing the matter the emperor stunned all present by suddenly arousing himself from his reverie. The council members sat uncomfortably for a moment, not knowing how to react. It was almost unheard off for the emperor to interfere in such a way. That he had the authority to do so was unquestionable, but the council members, used to being able to run the day-to-day matters of state on their own, were more concerned about the precedent this sudden intrusion by the emperor might have on future meetings. 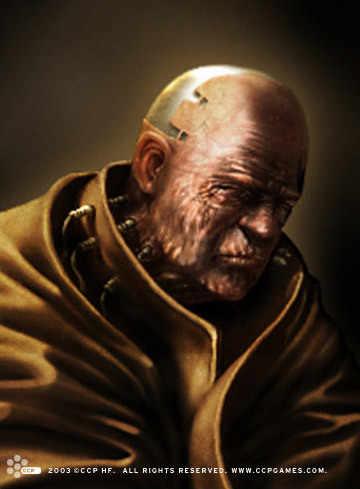 For decades the emperor had slumped more and more into his own world and the council members had been more than willing to fill the power gap. The question now on everyone’s mind was whether the power they had started to take for granted was now to be revoked by a revived emperor. “The governors can have their ground forces, but I will not let them into space. The Amarr Navy will deal with this matter in due time. Need I remind you that the good of the whole empire comes before the individual lives of its inhabitants? Maybe I should make an example of one of you to refresh your memory.” He finished, letting the threat hang in the air. Chamberlain Karsoth blanched and stammered some excuse too low to hear. The rest of the council exchanged furtive glances. The certainty that the emperor was back amongst the living was sinking in and the dread on their faces was there for all to see. On all but one face, actually. Sin Callor hid a smile behind his hand, his eyes fixed on the emperor. For a split second their eyes met and Callor then knew without doubt that the whispers were true. Despite himself, he shivered.